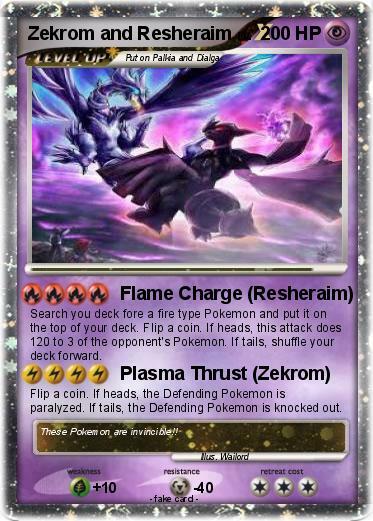 Search you deck fore a fire type Pokemon and put it on the top of your deck. Flip a coin. If heads, this attack does 120 to 3 of the opponent's Pokemon. If tails, shuffle your deck forward. Flip a coin. If heads, the Defending Pokemon is paralyzed. If tails, the Defending Pokemon is knocked out. Comments : These Pokemon are invincible! !